For the village in Iran, see Abdul Momin, Iran. Abdul Momin (before 21 May 1788 – 30 May 1885) was the 24th Sultan of Brunei from 1852 until his death on 29 May 1885. He was the son-in-law of the previous Sultan, Omar Ali Saifuddin II. He was the son of Pengiran Shahbandar Pengiran Anak Abdul Wahab and grandson of Sultan Omar Ali Saifuddin I. He was also the brother in law of Sultan Hashim Jalilul Alam Aqamaddin. His Highness was well respected as he brought peace and order to the country. Abdul Momin succeeded his father-in-law Omar Ali Saifuddin II as sultan upon the latter's death, having previously served as regent for him during his ill health. During Abdul Momin's reign, the teachings of Islam were encouraged and he also sent some Ulama to the Holy City of Makkah. During his reign, many territories were surrendered to James Brooke of Sarawak; in 1855, seven districts stretching from Samarahan to Rajang were surrendered to James Brooke in the signing of a treaty. On 26 November 1856, the British signed a treaty with Sultan Abdul Momin to reconfirm the Treaty of Friendship and Commerce signed in 1847. In 1861, Abdul Momin ceded more territories to James Brooke. At the same time, between 1865 and 1878, three foreign groups encroached into North Borneo (Sabah). In 1865, Charles Lee Moses, an American Consul General, signed a treaty with Sultan Abdul Momin and obtained twenty one districts. Later, Moses transferred his rights to the lease to Joseph Wilfred Torrey who sold it to Gustavus Baron von Overbeck. In 1881, the British government granted the British North Borneo Company a royal charter. William Hood Treacher was appointed the first British Governor of North Borneo. He was the nephew of James Brooke. He inherited the territory that extended from Tanjong Datu in the South to Tanjong Kedurong, north of bintulu river. Even he was the Tuan Muda of Sarawak, he put pressure to Sultan Abdul Momin to gave up Baram River. Sultan refused to gave up Baram river and asked british government to stop Charles Brooke. Baram was the well from which Brunei people drink water. Charles Brooke pressure Sultan by not giving parts of the annual payment. Pope hennesy, the British Consul-General of Labuan informed British government that Charles Brooke planned to pick quarrel with Sultan and to get Baram and Brunei itself. British government banned Charles Brooke from taking any territory for next ten years. 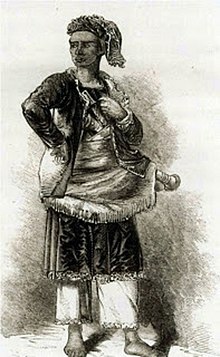 However in 1874, The Kayan of Baram rebelled against Brunei's oppressive rule. Charles Brooke used this rebellion as an excuse to seize Baram from Brunei. In 1882, Peter Leys, the British Consul-General of Labuan also forced the helpless Sultan Abdul Moon to lease Baram to Sarawak. Sultan realize further resistance was useless, so he gave in Baram. In return, Sultan received $3000 annually,$2000 was paid to Pengiran Temenggong Anak Hashim and two other Pengirans. In 1884, Pengiran Temenggong ceded Terusan and Limbang to Sarawak. Fortunately, these cession was not legally valid because these cession didn't have the Sultan's seal. Realising that Brunei would become extinct, Abdul Momin declared the Amanat, an agreement between the Sultan, Wazirs, Manteris, and holders of Tulin rights not to cede or lease any remaining territories to the foreign powers. In the years that followed, many Brunei territories continued to be taken, including Limbang. Also, at that time, Brunei did not have the military strength to enforce the Amanat. He died on Friday, 29 May 1885 at 8:00 a.m. He was buried in the Royal Mausoleum at Bandar Seri Begawan. Abdul Momin was succeeded by his brother in law, Pengiran Temenggong Pengiran Anak Hashim, who was later known as Sultan Hashim Jalilul Alam Aqamaddin.